The SuperSnapper Award was introduced in June 2013 to recognise achievements of swimmers. Previous winners can be found in the Archive Section. 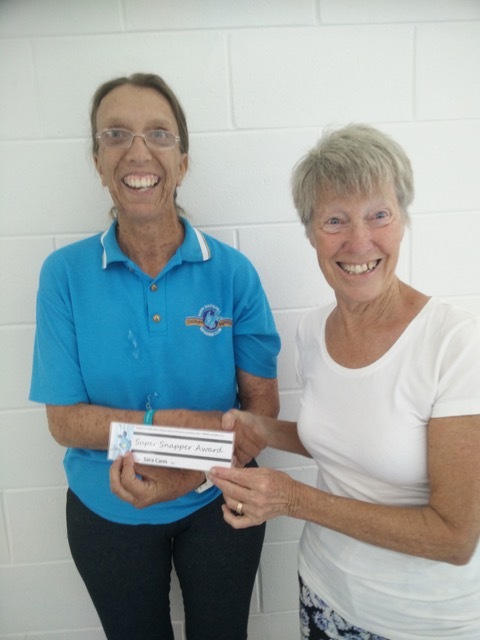 The SuperSnapper for December was won by Sara Cann for "challenging herself to swim double the distance of any timed swim she has completed previously by sucessfully completing her 800m Breaststroke and 1/2 hour Breaststroke". Congratulations Sara- well done. Keep up the great work! !